"Dr. Chaiken is one of the best." "I would...forever recommend him to people." "I highly recommend Dr. Hundley. She is always professional and friendly." "Dr. Hundley is a professional and kind lady. I trust her judgment and opinion." "Dr. Hundley is a phenomenal doctor and I would highly recommend her." "I see Dr. Richards and she's great! She's really nice and helpful." "Capital Women's Care has provided me with the best care for several years now!" "I love the Capital Women's Care practice. The staff and doctors are great." "I would recommend Capital Women's Care to every woman I know!" "Great place for women gynecology exams." "I love this practice! The doctors and staff are all wonderful." as well as ultrasound-assisted biopsies! *CWC is the only OB/GYN in the area offering these services. Women throughout the Greater Washington, D.C. and Baltimore areas can get all of the health care they need under one roof at Capital Women’s Care. This Fulton, Maryland practice boasts a team full of board-certified OB/GYNs, expert gynecologists, and highly trained medical practitioners. The office is conveniently located near the Columbia, North Laurel, and Highland neighborhoods. With a contemporary approach to preventive medicine, the team strives to educate women on staying in the best health of their lives. Each patient is treated as an individual, rather than just a specific condition. Whether you need routine gynecologic well-woman care, prenatal treatment, or help through menopause, you can get the treatment and guidance you need all in one place. Capital Women’s Care is a state-of-the-art facility housing the most modern and advanced medical equipment. With highly skilled providers on staff, patients can go through many gynecologic surgeries — including sterilization — right in the office with minimally invasive techniques. 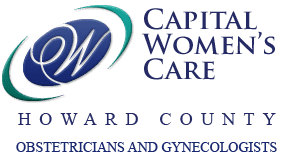 The physicians and nurse practitioners at Capital Women’s Care in Fulton, Maryland offer flexible scheduling throughout the week for both routine care and urgent gynecologic issues. They always welcome new patients to the practice. For the convenience of our patients, classes are held here in our office, Mondays at 6:30pm. For further information and to enroll, please call our instructor, Susan Beck for additional information.